Saturday night, with about 65 hours to go until the trade deadline, the Twins pulled the trigger on an increasingly inevitable Francisco Liriano deal by sending him to the White Sox for left-hander Pedro Hernandez and infielder Eduardo Escobar. Both players have spent time in the majors for the White Sox this year and figure to be September call-ups if the Twins don't promote them before then, but unfortunately neither player is considered much of a prospect. Escobar draws strong reviews for his defense at shortstop and also has experience at second base, but he's never hit at any level and has spent most of this season glued to the White Sox's bench while going 16-for-82 (.195) with 22 strikeouts. Chicago letting him collect dust as a big-league utility man at age 23 doesn't make much sense, but it does suggest they weren't particularly concerned about his development and perhaps viewed him as a marginal player. And rightfully so, as Escobar hit .266/.303/.354 with four homers and a 104-to-27 strikeout-to-walk ratio in 137 games at Triple-A last season and is a career .270/.315/.351 hitter in the minors. He's still young enough to improve at the plate and if Escobar's defensive reputation is accurate he won't have to hit much to be valuable, but so far the switch-hitter has shown almost zero power along with terrible plate discipline and no ability to control the strike zone. Hernandez was traded from the Padres to the White Sox as the lesser half of a two-prospect haul for outfielder Carlos Quentin on December 31. He debuted for the White Sox two weeks ago and got knocked around by the Red Sox, allowing three homers and eight runs in four innings before an immediate trip back to the minors. Based on both his track record and raw stuff Hernandez is a typical Twins pitcher with modest velocity, good control, and few whiffs. His fastball tops out in the low-90s along with a slider and changeup, he's induced more fly balls than ground balls, and in 145 innings between Double-A and Triple-A he's allowed more than a hit per inning while averaging 6.5 strikeouts and 2.3 walks per nine frames. Those numbers combined with fly-ball tendencies and underwhelming velocity make it tough to project the 23-year-old lefty as more than a back-of-the-rotation starter or long reliever. Terry Ryan revealed after the trade that the Twins and Liriano never talked long-term deal, which isn't surprising from either side's point of view. Liriano is two months from being able to hit the open market and take bids from all 30 teams, so unless the Twins blew him away with a huge offer it made little financial sense to pass up free agency. And after living with his ups and downs for seven years the Twins can't be blamed for avoiding a long-term commitment. Under the new collective bargaining agreement making a "qualifying offer" to Liriano was also an option and would have led to either re-signing him to a one-year deal for around $12 million or receiving draft pick compensation when he signed elsewhere. I'd have preferred a draft pick to what they ended up getting and keeping him for 2013 without the long-term commitment wouldn't have been such a bad thing either, but clearly the Twins felt otherwise. Getting a pair of C-level prospects is certainly preferable to letting Liriano walk for nothing, but I'm just having a difficult time believing that's the best the Twins could have done. To believe that you'd have to assume the numerous local and national reports about no fewer than a half-dozen teams being interested in Liriano were mostly false or at least that the half-dozen interested teams were only willing to offer the Twins marginal prospects in return. Maybe that's true. After all, trading Liriano to a division rival--the Twins and White Sox last made a deal in 1986--suggests Ryan felt it was definitely the best offer and for as well as he's pitched since rejoining the rotation in May he's still a two-month rental with an inconsistent track record who turned in a clunker in front of a collection of scouts last time out. Of course, plenty of other two-month rentals are being traded for vastly superior prospects this month. My expectations for a Liriano trade were never particularly high, or so I thought. 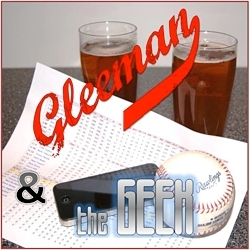 I certainly did not expect the Twins to land anything close to an elite prospect and thought even a prospect in the B-plus range was probably wishful thinking, but to wind up with two likely role players who didn't crack the top 10 in arguably MLB's worst farm system is disappointing. If this is truly the best the Twins could do a lot of people wasted a lot of energy reporting and speculating. 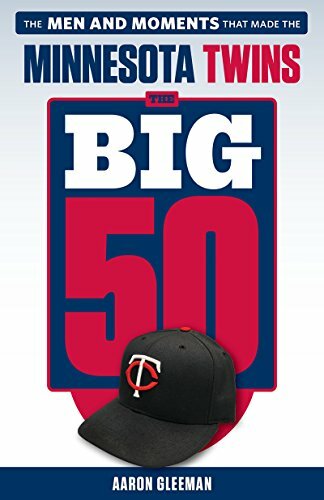 Nine years ago in one of the best trades in team history the Twins acquired Liriano from the Giants along with Joe Nathan and Boof Bonser for A.J. Pierzynski. At the time Liriano was 19 and universally viewed as a high-upside arm, but coming off an injury wrecked Single-A season he rated behind Bonser in most prospect rankings. Bonser ultimately proved to be a bust, but Nathan developed into an elite reliever and Liriano ... well, that's a bit more complicated. Following the trade Liriano was healthy and dominant in the minors, establishing himself as one of baseball's top 10 prospects. As a rookie in 2006 he worked out of the Twins' bullpen for six weeks and then joined the rotation in mid-May, doing the impossible by upstaging Johan Santana with an 11-2 record, 1.95 ERA, .162 opponents' batting average, and 105-to-28 strikeout-to-walk ratio in 93 innings spread over his first 14 starts. He had a mid-90s fastball and a devastatingly unhittable slider that racked up a combination of strikeouts and ground balls rarely seen. He was simply as good as a pitcher can possibly be. And then he got hurt. After an unsuccessful comeback attempt Tommy John surgery followed, knocking Liriano out for all of 2007 and leaving him at Triple-A to begin 2008. 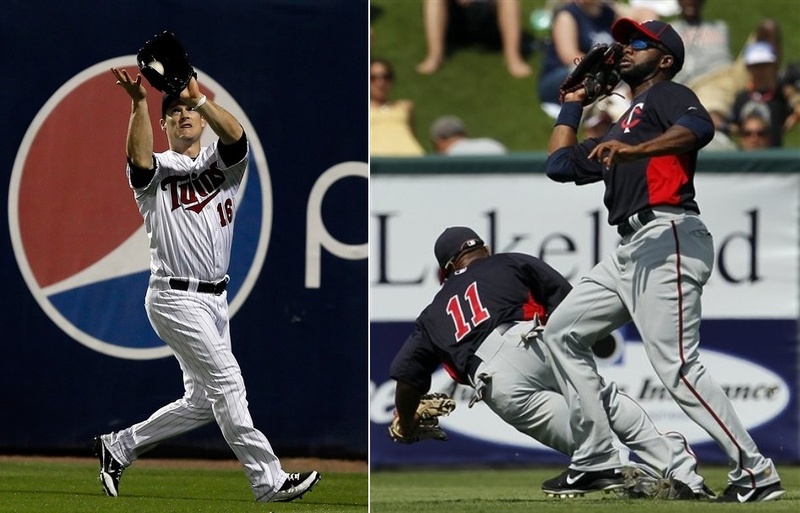 He returned to the Twins in mid-2008 as a much lesser but still effective version, but then struggled in 2009. Liriano seemingly put it all back together in 2010, posting a 3.62 ERA and 201 strikeouts in 192 innings to show that he was still very capable of dominating despite missing a few miles per hour off his pre-surgery stuff. And then he unraveled last season, throwing away all the progress he'd made, and began this year with a 9.45 ERA in six starts before the Twins demoted him to the bullpen in May. Three weeks and a handful of unspectacular relief outings later Liriano rejoined the rotation and put together an 11-start stretch in which he posted a 3.68 ERA, .190 opponents' batting average, and 10.8 strikeouts per nine innings. His raw stuff was still closer to the excellent, post-surgery 2010 version than the otherworldly, pre-surgery 2006 version, but Liriano's strikeout rate and swing-and-miss totals were as dominant as ever. He picked a bad time for his one clunker during that 11-start span, failing to make it out of the third inning while allowing seven runs in Chicago last Monday night, although doing that damage against Liriano didn't stop the White Sox from trading for him. Coming into the game Liriano had gone at least five innings in every start since April 27, but he allowed three homers in 2.2 innings after allowing a total of three homers in his previous 71 innings. It's unlikely that one ugly start significantly altered Liriano's trade value and by trading him for a pair of middling prospects just 12 hours before his final scheduled pre-deadline start the Twins certainly showed that they didn't think one impressive outing would give him a big last-minute boost. 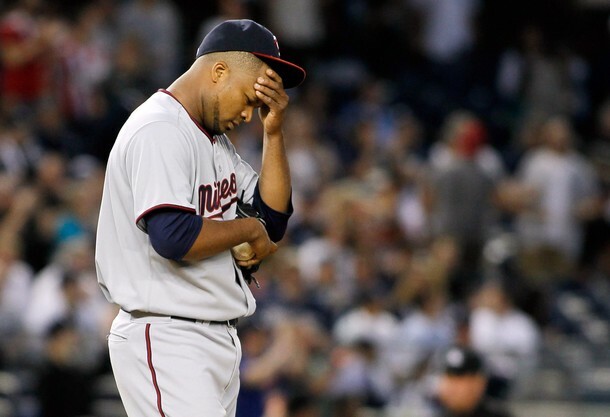 So now in an odd twist of fate (or at least scheduling) Liriano's next start will come Tuesday at Target Field, against the Twins. And his new batterymate? A.J. Pierzynski. Liriano's time in Minnesota was both amazing and maddening, but it's hard not to think back to that unhittable rookie and dream about what could have been if only his elbow had held up under the pressure of a high-stress delivery and overpowering raw stuff. He left his mid-90s fastball on the operating table and never learned to consistently throw strikes with lesser velocity, which is how limitless potential turns into a 4.33 ERA and two marginal prospects. I guess he'll be staying in the rotation for a while. Making his first start since Ron Gardenhire spoke publicly about dumping him from the rotation in favor of Kevin Slowey if things didn't improve soon Francisco Liriano and his 9.13 ERA took the mound against the White Sox and threw the Twins' first no-hitter since Eric Milton in 1999. And the funny thing is, Liriano was hardly at his sharpest or most overpowering. In fact, it may not have been one of the dozen most dominant starts of his career. Liriano's velocity was good but not great, as his fastball topped out at 94.2 miles per hour and averaged 92.5. His slider, which is typically Liriano's best pitch, registered just four swinging strikes on 40 offerings. He didn't miss many bats with just two strikeouts, but also didn't really pitch to contact by falling behind 19 of 30 hitters, throwing nearly as many strikes (66) as balls (57), and walking six (including slap-hitting Juan Pierre three times). Last season and through his first five starts this year the Twins' defense repeatedly let Liriano down, leading to him posting MLB's highest batting average on balls in play, but last night that same defense saved his piece of history on multiple occasions. Before anyone had any notion of it being a special night Denard Span made a terrific running grab in the left-center field gap, preserving the no-hitter and keeping two runs off the board in what proved to be a 1-0 game. Danny Valencia made a fantastic play for the final out of the seventh inning, snagging Carlos Quentin's hard ground ball down the third-base line and unleashing a strong throw across the diamond. Justin Morneau kept the ninth inning from getting off to a bad start by scooping out a low throw from shortstop Matt Tolbert for the 25th out. Even the final out was a screaming line drive off the bat of Adam Dunn that found Tolbert's glove. It wasn't pretty to watch, but history doesn't have to be and Liriano seemed genuinely awed by the moment while doing on-field interviews after the final out. He's been through an awful lot since a spectacular 2006 rookie season was cut short by an elbow injury and his road back from Tommy John surgery was filled with potholes that still trip him up five years later, so while a six-walk, two-strikeout no-hitter won't cure all that ails Liriano it had to feel damn good. And hopefully it can also be the start of the Twins' turnaround.